1. Kostelecka - Myrcha A., Myrcha A. 1964: The rate of passage of foodstuffs through the alimentary tract of certain Microtidae under laboratory conditions. Acta theriol. 9: 37 - 53. 2. Kostelecka - Myrcha A., Myrcha A. 1964: Choice of indicator in the investigation of the rate of passage of foodstuffs through the alimentary tract of rodents. Acta theriol. 9: 55 - 65. 3. Kostelecka - Myrcha A., Myrcha A. 1964: Rate of passage of foodstuffs through the alimentary tract of Neomys fodiens /Pennant, 1771/ under laboratory conditions. Acta theriol. 9: 371 - 373. 4. Myrcha A. 1964: Variations in the lenght and weight of the alimentary tract of Clethrionomys glareolus /Schreber, 1780/. Acta theriol. 9: 139 - 148. 5. Kostelecka - Myrcha A., Myrcha A. 1965: Effect of the kind of indicator on the results of investigations of the rate of passage of foodstuffs through the alimentary tract. Acta theriol. 10: 229 - 232. 6. Myrcha A. 1965: Lenght and weight of the alimentary tract of Apodemus flavicollis /Melchior, 1834/. Acta theriol. 10: 225 - 228. 7. Myrcha A. 1966: Zur Nahrung von Crocidura luna Dollman, 1910. Saugetierk. Mitt. 14: 228 - 229. 8. Gębczyńska Z., Myrcha A. 1966: The method of quantitative determining of the food composition of rodents. Acta theriol. 11: 385 - 390. 9. Kostelecka - Myrcha A., Myrcha A. 1966: Studies on blood leucocytes of some Microtidae under laboratory conditions. Bull. Acad. Pol. Sci. Cl. II, 14: 351 - 355. 10. Kostelecka - Myrcha A., Myrcha A. 1966: Studies on the blood leucocytes in the postnatal development of Pitymys subterraneus /de Selys - longchamps, 1835/ /Mammalia, Microtidae/. Bull. Acad. pol. Sci. Cl. II, 14: 419 - 424. 11. Myrcha A. 1967: Comparative studies on the morphology of the stomach in the Insectivora. acta theriol. 12: 223 - 244. 12. Kostelecka - Myrcha A., Myrcha A. 1967: Variability of the leucocyte count in the blood of bank vole, Clethrionomys glareolus /Schreber 1780/. Bull. Acad. Pol. Sci. Cl. II, 15: 675 - 682. 13. Kostelecka - Myrcha A., Myrcha A. 1967: Seasonal variability of the leucocyte count in the bank vole, Clethrionomys glareolus /Schreber 1780/. Bull. Acad. Pol. Sci. Cl. II, 15: 669 - 673. 14. Myrcha A. 1968: Caloric value and chemical composition of the body of the european hare. Acta theriol. 13: 65 - 71. 15. Myrcha A. 1968: Winter food intake in european hare /Lepus europaeus Pallas, 1778/ in experimental conditions. Acta theriol. 13: 453 - 459. 16. Myrcha A., Walkowa W. 1968: Changes in the caloric value of the body during the postnatal development of white mice. Acta theriol. 13: 391 - 400. 17. Myrcha A., Stejgwiłło - Laudańska B. 1969: Changes of the body`s calorific value during starving of the Lycosa sp. /Arachnidae/. Bull. Acad. Pol. Sci. Cl. II, 17: 291 - 295. 18. Myrcha A., Ryszkowski L., Walkowa W. 1969: Bioenergetics of the pregnancy and lactation of the Mus musculus L. Acta theriol. 14: 161 - 166. 19. Myrcha A. 1969: Seasonal changes in caloric value, body water and fat in some shrews. Acta theriol. 14: 211 - 227. 20. Myrcha A., Pinowski J. 1969: Variations in the body compositions and caloric value of nestling Tree Sparrow /passer m. montanus L./. Bull. Acad. Pol. Sci. Cl. II , 17: 475 - 480. 21. Myrcha A., Szwykowska M. 1969: Interrelation between dominance in the population and the level of metabolism in white mice males. Bull. Acad. Pol. Sci. Cl. II, 17: 599 - 601. 22. Myrcha A., Pinowski J. 1970: Weight, body composition and caloric value postjuvenal moulting European Tree sparrow /Passer montanus/. The Condor, 72: 175 - 181. 23. Gębczyński M., Kostelecka - Myrcha A., Myrcha A. 1970: Some morphological and physiological parameters of mountain and lowland populations of the bank vole. Acta theriol. 15: 133 - 142. 24. Myrcha A., Stejgwiłło - Laudańska B. 1970: Resting metabolism of araneus quadratus /Clerc/ females. Bull. Acad. Pol. Sci. Cl. II , 18: 257 - 259. 25. Myrcha A., Stejgwiłło - Laudańska B. 1970: Metabolism of the sucking insect Cicadella viridis L. /Homoptera - Auchenorrhyncha/. Bull. Acad. Pol. Sci. Cl. II , 18: 197 - 199. 26. Pinowski J., Myrcha A. 1970: Winter fat deposition in the Tree Sparrow /Passer m. montanus L./. Bull. Acad. Pol. Sci. Cl. II, 18: 457 - 463. 27. Myrcha A., Pinowski J., Tomek T. 1972: Energy balance of nestlings of Tree Sparrows, Passer m. montanus /L./ and House Sparrows, passer domesticus /L./. In Kendeight S. C., Pinowski J. eds. : „Productivity, population dynamics and systematics of granivorous birds”. PWN, Warszawa: 59 - 83. 28. Diehl B., Kurowski C., Myrcha A. 1972: Changes in the gross chemical composition and energy content of nestling redbacked shrikes /Lanius collurio L./. Bull. Acad. Pol. Sci. Cl. II, 20: 837 - 843. 29. Myrcha A., Stejgwiłło B. 1973: Changes of the metabolism rate of starved Lycosidae spiders. Bull. Acad. Pol. Sci. Cl. II, 21: 209 - 213. 30. Myrcha A. 1973: Bioenergetics of the developmental period of Copris lunaris L. /Scarabeidae, Coleoptera/. Ekol. pol. A, 21: 13 - 35. 31. Myrcha A., Jezierski W. 1972: Metabolic rate during the postnatal developmen of wild boars. Acta theriol. 17: 443 - 452. 32. Diehl B., Myrcha A. 1973: Bioenergetics of nestling Redbacked Shrikes /Lanius colluriol L./. The Condor, 75: 259 - 264. 33. Myrcha A., Pinowski J., Tomek T. 1973: Variations in the water and ash contents and in the caloric value of nestling starlings /Sturnus vulgaris L./ during their development. Bull. Acad. Pol. Sci. Cl. II, 21: 649 -655. 34. Jezierski W., Myrcha A. 1975: Food requirements of a wild boar population. Pol. ecol. Stud. 1: 61 - 83. 35. Myrcha A. 1975: Bioenergetics of an experimental population and individual laboratory mice. Acta theriol. 20: 175 - 226. 36. Andrzejewski R., Jezierski W., Kostelecka - Myrcha A., Mycha A. 1975: Barwna mutacja dzika i fizjologiczne przyczyny jej śmiertelności w populacji. Bull. Acad. Pol. Sci. Cl. II, 23, 12. 37. Pinowski J., Myrcha A. 1976: „Production and biomase”. In: Kendeigh S. C., Pinowski J. eds. „The role of granivorous birds”. IBP Synthesis. Cambridge University Press /In press/. 36. Andrzejewski R., Jezierski W., Kostelecka - Myrcha A., Myrcha A. 1975: Colour mutation in wild boars and the physiological causes of mortality of mutants in the population. Bull. Acad. Pol. Sci. Cl. II, 23: 793 - 797. 37. Pinowski J., Myrcha A. 1976: Production rate and Biomass. In: Granivorous Birds in Ecosystems, J. Pinowski, S. C. Kendeigh eds. IBP Synthesis no. 12: 107 - 126. Cambridge Univ. Press. 38. Myrcha A., Breymayer A., Zacharieva - Stojlova E. 1977: Metabolic rate in somo coprophagous Scarabaeidae species. Bull. Acad. Pol. Sci. Cl. II, 25: 77 - 83. 39. Myrcha A., Kostelecka - Myrcha A. 1979: Blood picture in some species of Antarctic Birds. Bull. Acad. Pol. Sci. Cl. II, 27: 911 - 915. 40. Myrcha A., Teliga K. 1980: Observations of pinnipedian mammals in the vicinity of arctoeski Station /King George Island/ in 1987. Pol. Polar Res., 1: 117 - 126. 41. Myrcha A., Kostelecka - Myrcha A. 1980: Hematological studies on Antarctic birds. I. Hematological indices in some species of the birds studied during australian summer. Pol. Polar Res., 1: 169 - 173. 42. Kostelecka - Myrcha A., Myrcha A. 1980: Hematological studies on Antarctic birds. II. Changes of the hematological indices during the development of the pygoscelid penguins. Pol. Polar Res., 1: 175 - 181. 43. Kostelecka - Myrcha A., Myrcha A., Gutkowska H. E. 1981: Hematological and morphological indices of some rodents under conditions of varying industrial pressure. Pol. ecol. Stud,. 7: 145 - 153. 44. Myrcha A., Kamiński P. 1982: Changes in body calorific values during nestling development of penguins of the genus Pygoscelis. Pol. Polar Res., 3: 81 - 88. 45. Pietr S., Tatur A., Myrcha A. 1983: Mineralization of penguin excrements at Admiralty Bay region /King George Island, South Shetland Islands. Antarctic/. Pol. Polar Res., 4: 1 -4. 46. Tatur A., Myrcha A. 1983: Changes in chemical composition of waters running off from penguin rookeries at Admiralty Bay region /King George Island, South Shetland Islands. Antarctic/. Pol. Polar Res., 4: 1-4. 47. Tatur A., Myrcha A. 1984: Ornithogenic soils on King George Island, South Shetland Islands /Maritime Antarctic Zone/. Pol. Polar Res., 5,1 /przyjęto do druku w maju 1983/. 48. Myrcha A., Pietr S., Tatur A. 1984: The role of pygoscelid penguin rookeries in the nutrient cycle at Admiralty Bay region, King George Island, South Shetland Islands. Polar Biol., 2 /przyjęto do druku we wrześniu 1983/. 49. Myrcha A., Andrzejewska L. 1984: Bioenergetics of the development period of the coprophagous beetles in the panamanian pastures. Ekol. pol., 32,2 /przyjęto do druku w maju 1983/. 50. Myrcha A., Pietr S., Tatur A. 1985: The role of pygoscelid penguin rookeries in nutrient cycles at Admiralty Bay, King George Island. In: Siegfried W. R., Condy P. R., Laws R. M. eds. „Antarctic nutrient cycles and food webs”. 156 -162. Springer Verlag. 51. Myrcha A., Tatur A. 1986: Argentinian - Polish scientific cooperation in Antarctica /1984 - 1986/. Pol. Polar Res., 7: 427 - 431. 52. Myrcha A., Ochyra R., Tatur A., SSSI no 8 - Zachodni brzeg Admiralicji. Proc. I Polsko - Radzieckiego Symp. Antarktycznego. 53. Myrcha A. 1986: Mechanizmy zabezpieczające tkanki zwierząt stałocieplnych w odpowiednią ilość tlenu - rodział w „Podręcznik do ćwiczeń z ekologii”. Wydawnictwo Filii UW w Białymstoku. 54. Myrcha A., Tatur A. 1987: A new species of fossil penguin from Seymour Island /West Antarctic/ - Paleontology. 55. Myrcha A., Tatur A., del Valle R. 1987: Numbers of Adelie penguins breeding at Hope Bay Seymour Island rookeries /West Antarctica/ in 1985. Pol. Polar Res., 8: 411 - 422. 56. Trivelpiece S. G., Geupel G. R., Kjelmyr J., Myrcha A., Siciński J., Trivelpiece W. Z., Volkman N. J. 1987: Rare bird sightings from Admiralty Bay, King George Island, South Shetland Islands, Antarctica - Cormorant., 15: 59 - 66. 57. Myrcha A. 1988: Polskie badania polarne w zakresie ekologii lądowej i ochrony środowiska. Ekspertyza „Cele polskiej aktywności naukowej, ekonomicznej i politycznej w rejonach polarnych” wykonana na zlecenie Międzynarodowej Komisji Badań Morskich. Wyd. PAN, Instytut Ekologii, 87 -122. 58. Myrcha A., Tatur A. 1988: Polish collection of fossil penguins from Seymour Island /West Antarctic/. Wyd. Uniw. Wrocławskiego, 317 - 325. 59. Kostelecka - Myrcha A., Myrcha A. 1989: Changes of the red blood pisture during nesting development of the Wilson`s storm petrel, Oceanites oceanicus /kuhl/. Pol. Polar Res., 10: 151 - 162. 60. Tatur A., Myrcha A. 1989: Soils and vegetation in abandoned penguin rookeries /Maritime Antarctic/. PROC. NIPR Symp. Polar Biol., 2: 181 - 189. 61. Myrcha A. 1990: Polish participation in BIOTAS Programme „Colonization in Antarctic Terrestrial System”. 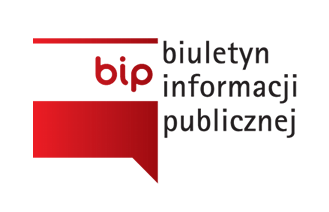 BIOTAS Newslatter, 4: 35 - 38. 62. Myrcha A., Tatur A., del Valle R. 1990: A new species of fossil penguin from Seymour Island, West Antarctica, Alcheringa, 14. 63. Myrcha a., Tatur A. 1990: Abandoned breeding places of penguins and their rolein the functioning of land ecosystems in the maritime Antarctic. Proc. Fifth SCAR Symp. Antarct. Biology, Hobart 1988. 64. Myrcha A., Tatur A. 1991: Ecological role of the current and abandoned penguin rookeries in the land environments of the maritime Antarctic. Pol. Polar Res., 12: 3 - 24. 65. Myrcha A., Ochyra R., Tatur A. 1991: Site of Special scientific Interest no 8 - western shores of Admiralty Bay, King George Island, South Shetland Islands. In: Klekowski R.Z., Opaliński K.W., eds. The First Polish - Soviet antarctic Symposium „Arctowski 85”. Polish Acad. Sci., Div. Biol. Sci., Warszawa, pp. 157 - 168. 66. Tatur A., Myrcha A. 1991: Biogeochemical cycle of ornithogenic matter on the land - sea boundary in maritime Antarctic. In: Klekowski R. Z., Opaliński K. W., eds. The First Polish - Soviet Antarctic Symposium „Arctowski 85”. Polish Acad. Sci. , Div. Biol. Sci., Warszawa, pp. 169 -176. 67. Myrcha A. 1992: Ptaki. In: Rakusa - Suszczewski S.. Zatoka Admiralicji, Antarktyka. Inst. Ekol. PAN, Dziekanów Leśny, pp. 169 - 194. 68. Tatur A., Myrcha A. 1993: Ornithogenic solis. In: Rakusa - Suszczewski S. ed. Admirality Bay, Antarctica. oficyna Wyd. IE PAN. Dziekanów Leśny. 69. Tatur A., Myrcha A., Niegodzisz J. 1997: Formation of abandoned penguin rookery ecosystems in the maritime Antarctic. Polar Biology 17: 405 - 417.